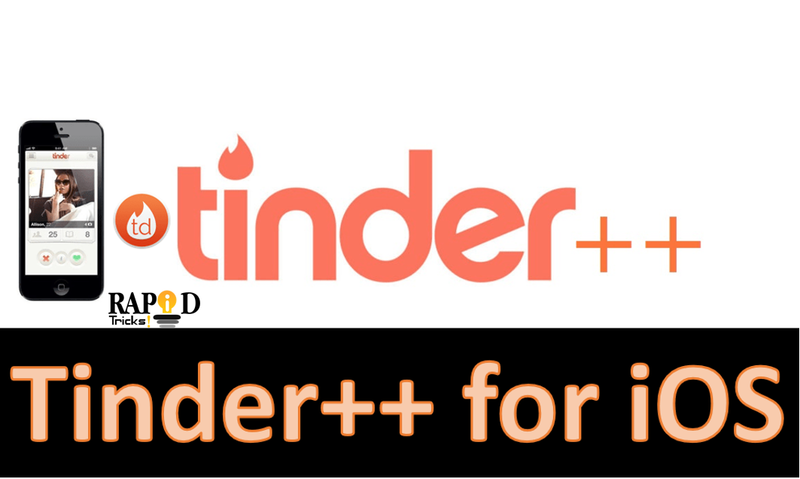 You may be aware with ++ editions of applications if not, then ++ is the sign of Tweaked Apps and today we are going to share Tinder++ that is a tweaked version of original Tinder Dating App. Tinder++ iOS App will unlock all the Tinder premium features and once you download tinder++ then you can use an option called select to free users and this app also comes with unlimited super like. The tweaked app isn’t available on the official Apple app store and you need to jailbreak your iOS device to get it installed on your iPhone from an external third-party app such as Cydia. But here, we’ll explore an easy way to install Tinder++ on your non-jailbroken iOS device m and that too without using a computer. Tweakbox for iOS app store is quite an impressive app store that is very famous to download any paid app and third-party tweaked apps to download for iPhone, iPad, iPad Mini and iPod for free of cost. It is a third party app store that allows its users to grab any apps that are not available in the App store. Tinder ++ is one such tweak app and you can directly install this dating app on your non-jailbroken iPhone or iPad without requiring a computer (Mac or PC). In order to install Apps via Tweakbox iOS app store, you need to download tweakbox on iPhone for free and once it gets installed then you can download Tinder++ for iPhone and use it anytime. Note: As you guys know now that, Tinder++ is a tweaked version of the original app and it comes with some bundle IDs and this is why you cannot keep both the original one and the tweaked version of tinder app and you can’t even use them simultaneously on the same device. You must uninstall your original version of Tinder app and then install Tinder++ App for free. Tinder++ app for iOS has some amazing features which will make you hurry to download this app on your iPhone. The Tinder++ unlocks some of the special features and those features you can get via paying big bucks on official tinder app. First, uninstall the official version of Tinder, if you’ve already installed it. Download Tweakbox iOS version for free from this link. Now install tweakbox on iPhone and open tweakbox app store. Now search for Tinder++ app via search function and click on the first result. Tap on Install and start using it. Once you have tinder++, you can uninstall tweakbox or use it for other paid apps for free and enjoy paid apps for free on iPhone or iPad. So we hope, today we helped all the single people to find their loved once on Tinder app and now Tinder++ will help them to find the best match for them. If you like this post then share it with your single friends.